Most forest gardeners are familiar with Robert Hart and his garden either through his book “Forest Gardening” or the short documentary about the garden on Youtube, both of them teaching the idea of a seven layered forest garden, and the beautiful, productive systems that follow when applied. I have several times wondered what happened to his garden after his death in March of 2000. 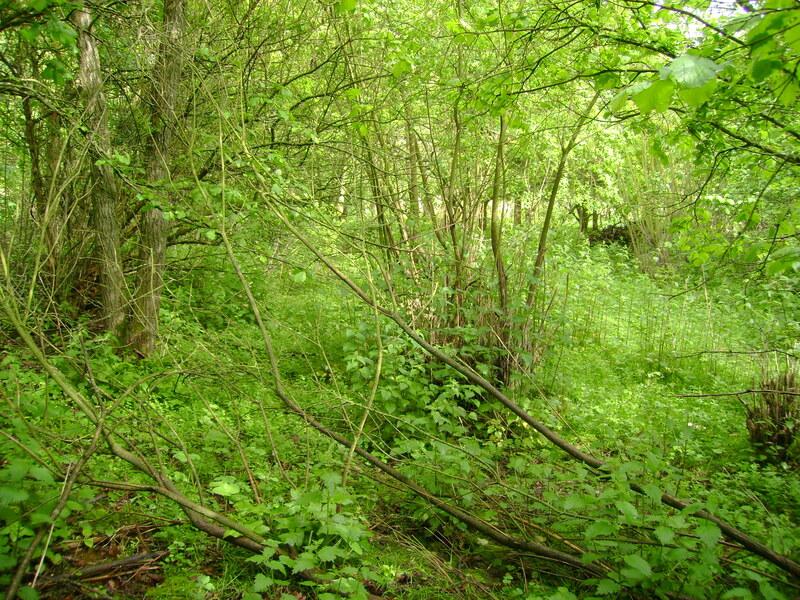 Such a horror, and at the same time, joy, when I found this picture collection on Flickr by London Permaculture of Robert’s now abandoned forest garden; the first of the northern forest gardens, an anchor of history, left to dissipate into weeds. A glimpse of the now abandoned forest garden. Photo by London Permaculture. Robert Hart’s original forest garden in Shropshire continues to hold a fascination for a wide number of people. Hart’s description of the garden in his books and confusion over what happened to the garden following his death in March 2000 have both created an aura of mystery which haunts references to the place. Highwood Hill is currently a private residence with no public access to the site. The forest garden which Hart created appears to have been partly cleared. The remaining elements have been untended and without human intervention have proceeded on a path of natural succession. The shade of the tree cover has led to a diminution in the under storey, although a few fruit bushes are still visible. Robert Hart’s garden survives in his books and in the gardens that others have started around the world under his inspiration – it is not here. Agast at “Partly cleared”, I rack my brain for how this haven could be saved. I think ‘Why hasn’t someone bought the site and payed it off, offering tours, propagating plants? Anything?’. Comfrey still plugging along. Picture by London Permaculture. I must relent. It is nature’s way, and I don’t think this scenario could be any better. What could a forest gardener want more than for their organism they’ve tended and partnered with for years to thrive on its own, then taking its natural course back to the nature that it came from? 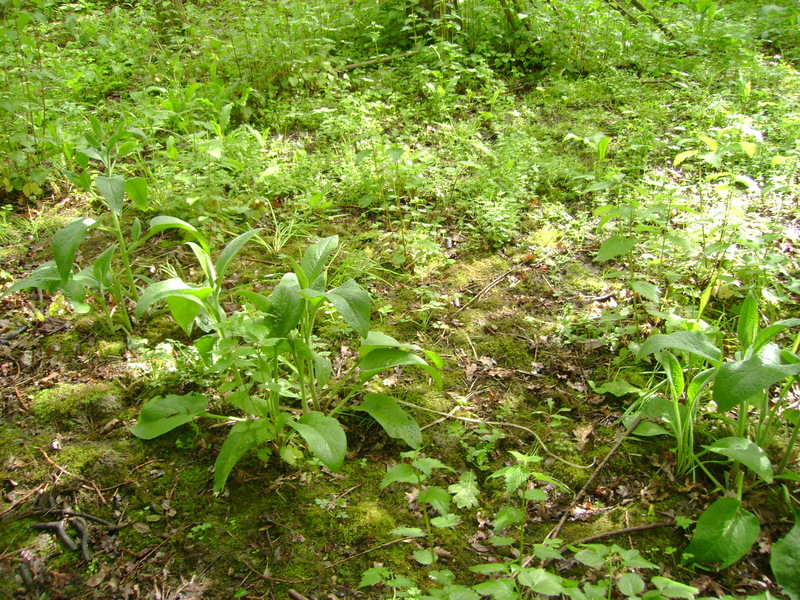 Just seeing the trees are still there, especially that the Comfrey’s plugging along, really shows how independent the forest is. Mortal Tree –and any other food forest, I sincerely hope stay productive for centuries after the forces that brought them together are gone. It will be the ultimate test for our designs. Robert’s garden I think is exceptional though. It has inspired and hence given life to so many forest gardens, including my own. Letting it disperse and rise to the realm of ideas is how it will best spark independent, unique ideas that are best adapted to our sites. I have the same idea for Mortal Tree. It is a remnant of the garden I’ve heard once grew in my yard –a long time ago. As it decays I see it as physical nutrients for the garden, but also as an idea, a memory, of a place where the earth isn’t dead, but living, healed, and healing everything that comes into its embrace. The old form has to taste complete death before it can take new form though. Such is the meaning of decay, an end becoming a beginning to bring new life in a new form. Thoughts like this really make me want to get back out into the food forest. Join me? Next:And what about that grain patch?